356 pages | 22 B/W Illus. 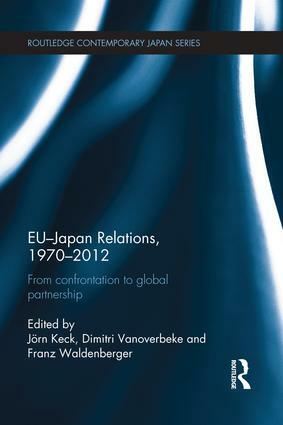 This book presents a comprehensive overview of EU-Japan relations from 1970 to the present. It charts developments over the period, analyses key specific areas of importance to the relationship, and concludes by assessing how the relationship is likely to develop going forward. Throughout, the book discusses the factors on both sides which motivate the relationship, including Japan’s concern to secure markets for its advanced industrial products, and the factors motivating current negotiations for a deeper and more comprehensive economic and cooperative partnership. Jörn Keck is a former Ambassador to Japan of the EU Commission. Dimitri Vanoverbeke is Professor of Japanese Studies at the Catholic University of Leuven, Belgium. Franz Waldenberger is Professor of Japanese Economy at the Ludwig Maximilian University, Munich, Germany.